Maxis has just introduced a new plan called MaxisONE Share, which allows MaxisONE plan users to share their limitless calls and SMS with a supplementary line. Although it’s not mentioned by the telco, the MaxisONE Share looks like supplementary plan that goes hand-in-hand with the MaxisONE postpaid plan. 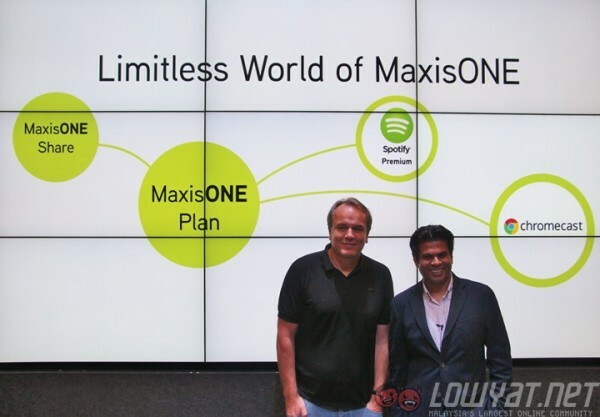 The unlimited calls/SMS, and even data can be shared between MaxisONE Share and MaxisONE plan lines. 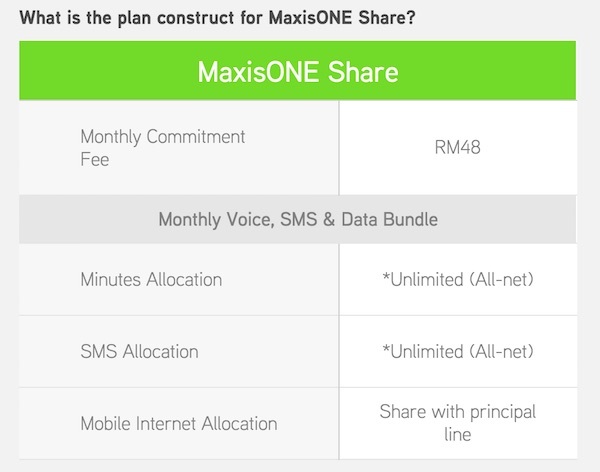 Each MaxisONE plan user can have up to two MaxisONE Share supplementary lines. 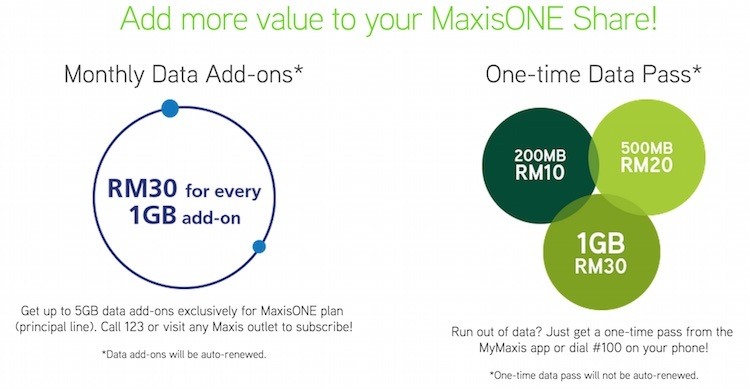 MaxisONE Share is available for all MaxisONE plan subscribers however, you will need to add on 1GB of data at RM30 a month in order to be eligible to sign up for MaxisONE Share. 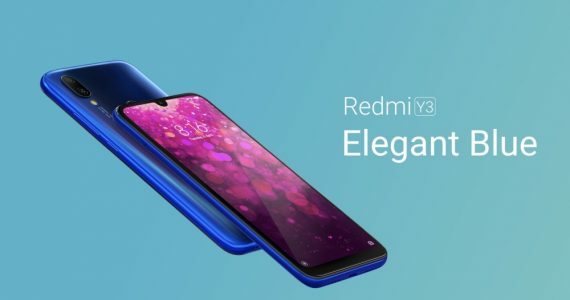 This plan is perfect for those who make lots of calls and SMS each month. 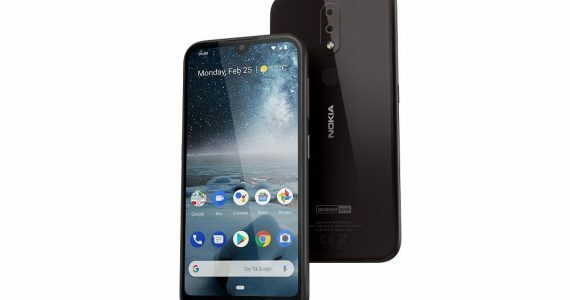 As for data, the MaxisONE Share line will share the data offered by the MaxisONE plan principal line – 3GB. 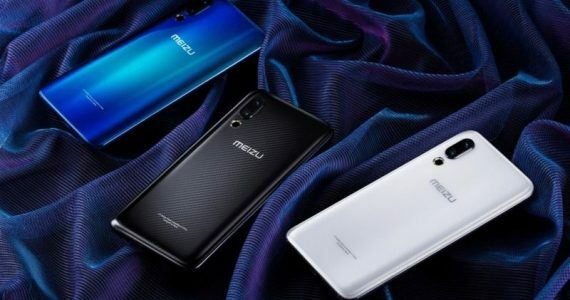 That’s not all, should you run out of data, MaxisONE Share also has monthly data add-on plans or one-time data passes for you to sign up for. 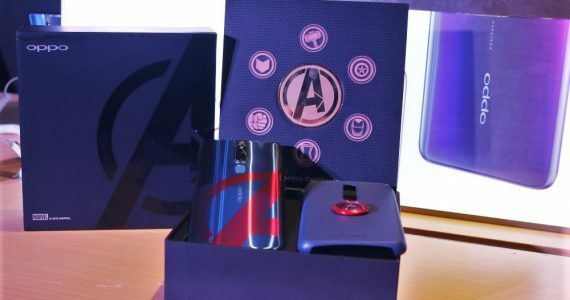 Add on 1GB of data for only RM30, or if you don’t need so much, you can opt for data passes at 200MB for RM10, 500MB for rm20 or 1GB for RM30. 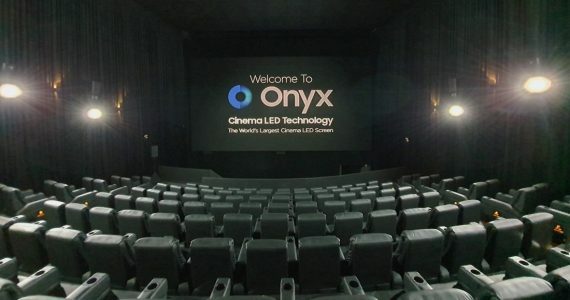 Monthly data add-ons will be renewed every month, while one-time data passes will expire at the end of your billing cycle. 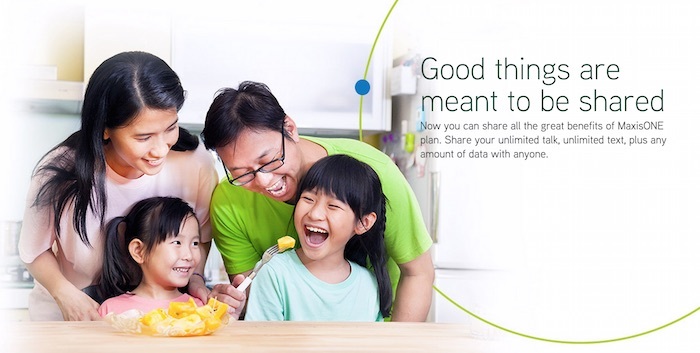 Check out Maxis now for more information about its MaxisONE Share plan.